I am female and purchased this wallet for myself. I wanted it for all of my wristlets that do not have RFID protection. I keep the wallet open and slide it inside and use it as an organizer. It was a must that it have a zippered area for coins with the zipper across the top. This way, I don't even have to remove the wallet from my wristlet.....I just reach in and pull out the card I want, my bills, and can drop the coins right in the zippered pocket. My wallet is slightly different than the one pictured. The last card slot on the left side of the wallet, does not have the angled cutout. Doesn't make a difference to me, but just wanted to let you know. The smell is strong, but I found that to be the case with most RFID products. I have another checkbook RFID wallet from bigskinny and it smelled also.....but it does dissipate after a while! Hang in there, because the wallets are great. I have bought them for my son and father and they love them. I wish they weren't so pricy though.....but bigskinny is one of a kind...... no one else makes anything similar to their wallets with RFID. Wish this was in bright colors, but I guess men like black/brown. I would love this in purple or coral. The Taxicab wallet was too small for what I needed, but it comes in more colors. I like all the card slots that r in this wallet better, so that's why I bought it instead. I never thought I would say these words about some inanimate object, but "I am absolutely in love with my wallet from Big Skinny". This wallet is well designed, practical, well made and a perfect fit for either my back or front pocket. 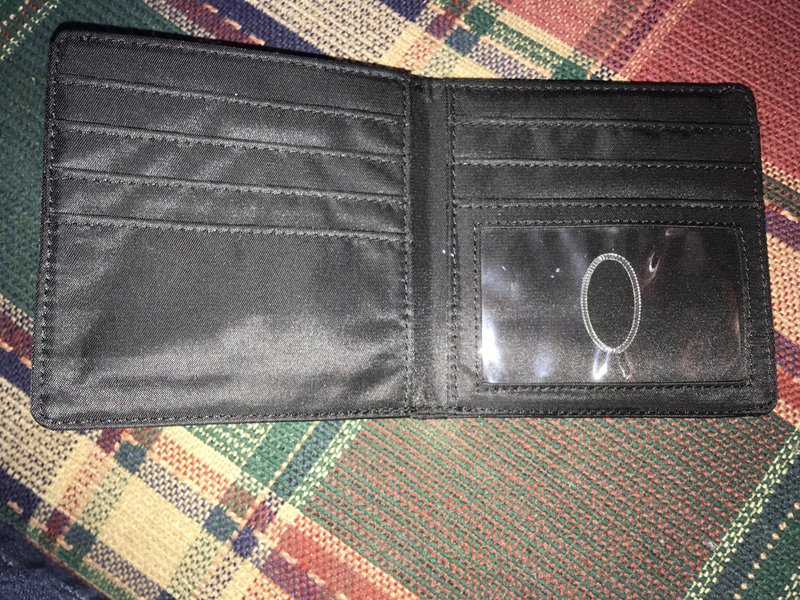 I purchased the nylon wallet with 8 slots. Holds all my cards perfectly and I love the window with thumb hole for the I.D. card. 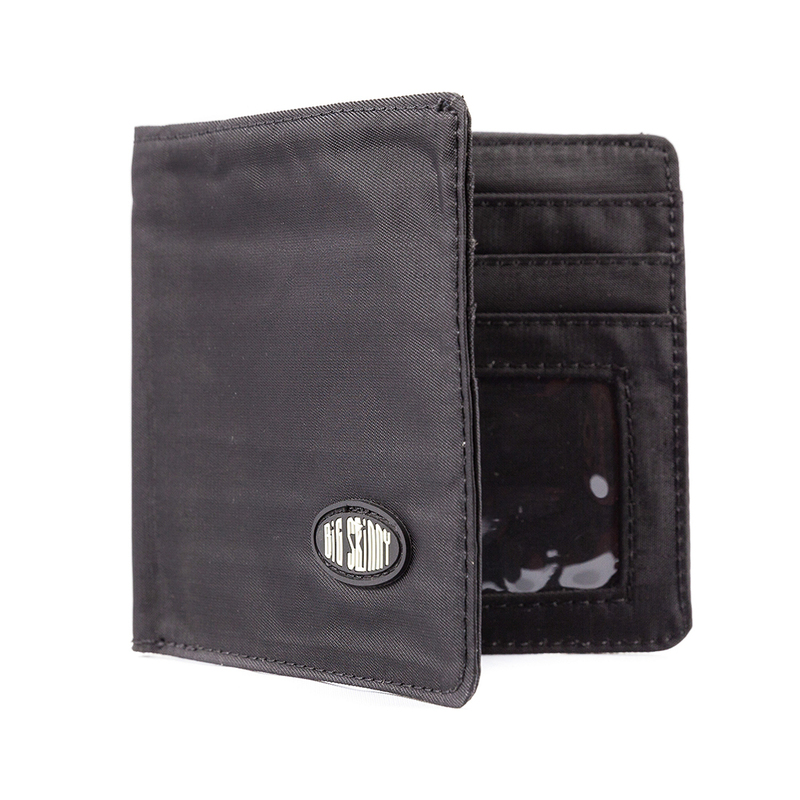 The thinness of the wallet is wonderful, a real gift for this body. The added security lining feature is appreciated in these times. I travel and have always had some concern about a person scanning my ID or credit card information while standing near me. If only I had found your web site and company earlier I wouldn't have had to suffer with many inferior wallets purchased from various department stores over the years. Job well done Big Skinny! Thank you. My only advice is to advertise more so others can enjoy your excellent product. This is my second Big Skinny wallet. My first one is still very usable, I wanted to upgrade to RFID protection. I have only use my new Big Skinny RFID World Zip for a few days, but so far I am delighted with it! Great Workmanship! Great Design! Please continue to keep making these great products. Best wallet I ever owned! Although my original Big Skinny wallet (The Curve) showed virtually no signs of wear, I simply grew out of it. So I opted to buy a larger wallet from a local discount retailer. What a mistake! The contents fell out so often I feared losing them, and the bulk of the new discount wallet was extremely uncomfortable. Fortunately, I came to my senses and chose the RFID World Zip. Now I carry everything I need PLUS a Wallet Ninja and a Photo/Card Insert, and nothing falls out...EVER! I could've easily saved $10 by not getting the RFID protection (the need for which is greatly exaggerated), but I now have peace of mind. Thanks to (and unfortunately for) Big Skinny, I won't need a new wallet for many years. 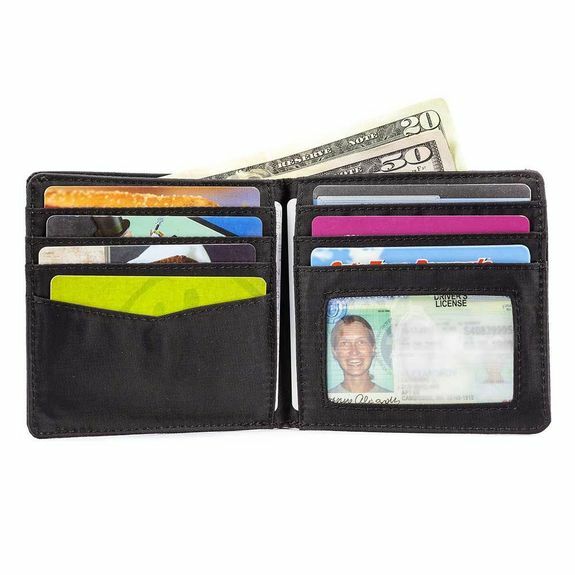 Big Skinny makes the best wallets you will ever own! Still have the Big Skinny wallet I purchased many years ago and practically looks new. Only reason I purchased the new RFID World Zip Wallet was for the peace of mind in preventing information theft from my credit card chips. Still a comfortable and well designed wallet. Great product!!! Great lovr as much as my last one. 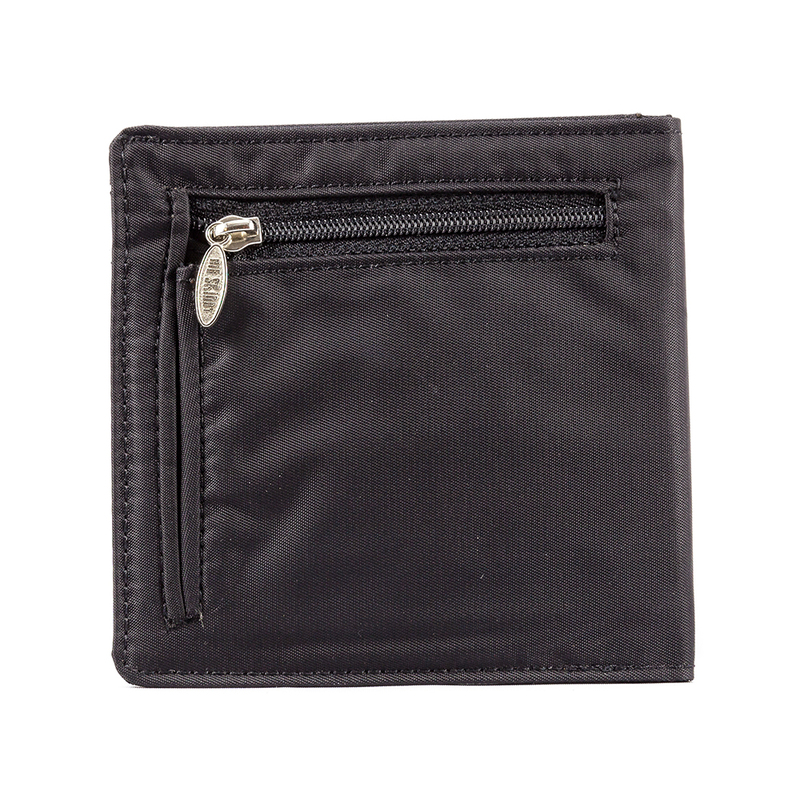 I have had a World Zip wallet for years and have loved it. Finally they have come out with a microfiber RFID version. I bought it and now love my new wallet. It has reduced the weight and bulk of my wallet and now I know my data is safe without resorting to those annoying paper credit card covers. Highly recommend this product. Really like this wallet! Very thin, holds all my card, clear ID / license slot! You can keep it clean and my cards dont bend! RFID a smart added feature. Wont go back to the conventional leather.